In a report released today, Brian Nagel from Oppenheimer maintained a Buy rating on AutoZone (AZO). The company’s shares opened today at $867.10, close to its 52-week high of $894.37. 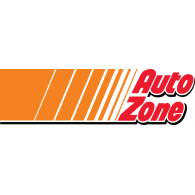 The word on The Street in general, suggests a Moderate Buy analyst consensus rating for AutoZone with a $853.25 average price target, which is a -1.6% downside from current levels. In a report issued on November 26, Deutsche Bank also maintained a Buy rating on the stock with a $940 price target. The company has a one-year high of $894.37 and a one-year low of $590.76. Currently, AutoZone has an average volume of 340.1K. Based on the recent corporate insider activity of 65 insiders, corporate insider sentiment is negative on the stock. Last month, Halsell Rodney C., the SVP of AZO sold 5,387 shares for a total of $4,046,730. AutoZone, Inc. engages in the provision of retail and distribution of automotive replacement parts and accessories. It operates through the Auto Parts Locations and Other segments. The Auto Parts Locations segment provides automotive parts and accessories through the company’s stores in the U.S., Puerto Rico, Mexico, and Brazil.